Beyond: Two Souls game is an upcoming dramatic action-adventure about what happens after death. The project will be released in October, 2013, and now the development is in full swing. 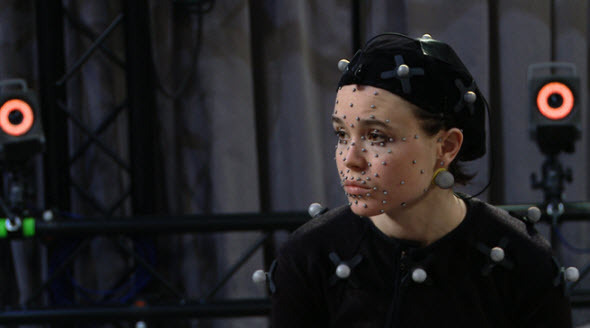 Today we would like to show you the process of creating Beyond: Two Souls. A new video that was released yesterday is a sort of the developer diary. Here, you can see what happens beyond the scenes, how the team is involved in the development process and what they think and feel about the future project. Beyond: Two Souls game features two famous actors - Ellen Page and Willem Dafoe - and in the video you can hear the game's details from their own lips. Beyond: Two Souls game will be released exclusively for PS3 in autumn. The version for North America is coming on the 8th of October, and the gamers from Australia and Europe will get this game on the 9th and 11th of October respectively.